Fort Myers, FL – Sept 6, 2011 – Attorney Keith Grossman is pleased to announce the grand opening of his new law and mediation practice, Grossman Law & Conflict Management, and the expansion of his practice areas to include family law, employment law, mediation and training. In addition to providing litigation services for divorce, child support, and other family law matters, Attorney Keith Grossman helps families and businesses manage conflict by offering mediation in family and divorce cases, as well as in the workplace. Grossman Law & Conflict Management will offer skills training workshops, human resources consulting, independent employee investigations, and conflict management design and preventative practices for small and large businesses. "While continuing to provide high quality services in divorce and family law matters, we are also reaching out to local employers who can truly benefit from our employment law and conflict management services," said Grossman. Grossman Law & Conflict Management is located at 7270 College Parkway, Suite One, in Fort Myers. For more information about family law, employment law, and conflict management services, call the office at 239-210-7516, email Keith at Keith@AttorneyGrossman.com or visit www.ResolvingConflictsNow.com or www.AttorneyGrossman.com. 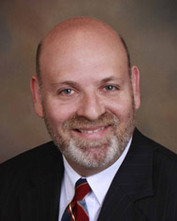 Attorney Keith Grossman of Grossman Law & Conflict Management has 20 years of experience in and out of the courtroom and specializes in family law, employment law, and conflict management. Keith is a Family Mediator Certified by the Florida Supreme Court, a former Family Law Case Manager for Court Administration, and Past President of the Lee County Bar Association. He also helped to establish and supervise the Family Law Resource Center, a program designed to help families navigate the court system and reduce the conflict typically associated with the divorce process. He was formerly a partner with Burandt, Adamski, Grossman and Powell in Cape Coral, FL. He is the author of the E-book, “Does Every Divorce Need a Shark? A Guide Through Divorce”. Keith handles marriage and family law cases involving divorce, child support, alimony, paternity, prenuptial agreements, parenting plans and time sharing. In the area of Employment Law and Mediation, Keith's services include human resources consulting, skills training workshops, independent employee investigations, and conflict management design and preventative practices.